Today we honor the Appearance day of Lord Nṛsiṁhadeva, with a fast till sunset and the following text from the Śrīmad-Bhāgavatam. 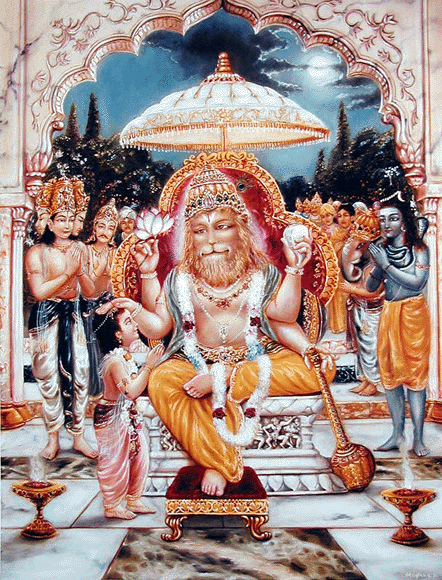 So shortly after the Lord killed Hiraṇyakaśipu, and his armies, the Lord sat Himself on the throne of Hiraṇyakaśipu, and was offered prayers by all the assembled saintly persons and demigods. …The Lord not only killed Hiraṇyakaśipu, the King of the demons, but also killed many of his followers. 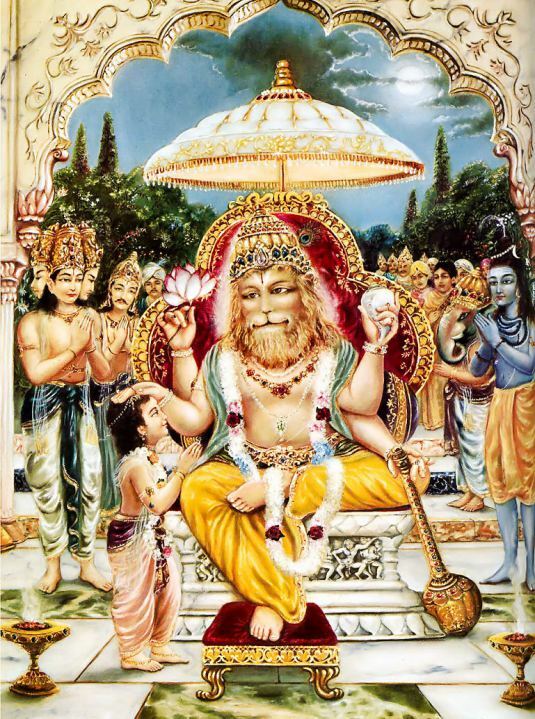 When there was no one else to fight, the Lord, roaring with anger, sat down on Hiraṇyakaśipu’s throne. Nṛsiṁhadeva may save you. Lord Nṛsiṁha, prahlāda āhlāda-dāyine. And to the Hiraṇyakaśipu, śilā-ṭaṅka-nakhālaye. Both ways Kṛṣṇa is protecting. And Viṣṇu, you see He has got four hands. In two hands He’s carrying śaṇkha, cakra and in two hands gadā, padma. 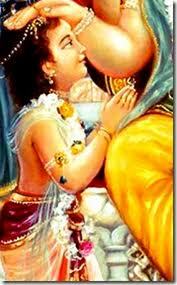 This śaṅkha and padma is for the devotees, and gadā and cakra for the demons. 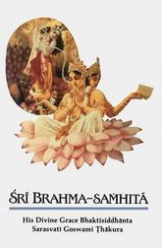 Kṛṣṇa says in the Bhagavad-gītā, yadā yadā hi… paritrāṇāya sādhūnāṁ vināśāya ca duṣkṛtām [Bg. 4.8]. He has got two business. To give protection to the devotee and to kill the demons. But the result is one. He does good to the demons by killing him and He does good to the devotees by giving him protection.